Our line of custom full-color sublimation printed flags offer a great way to catch the eye from a distance. Vivid graphics ensure your design looks great. 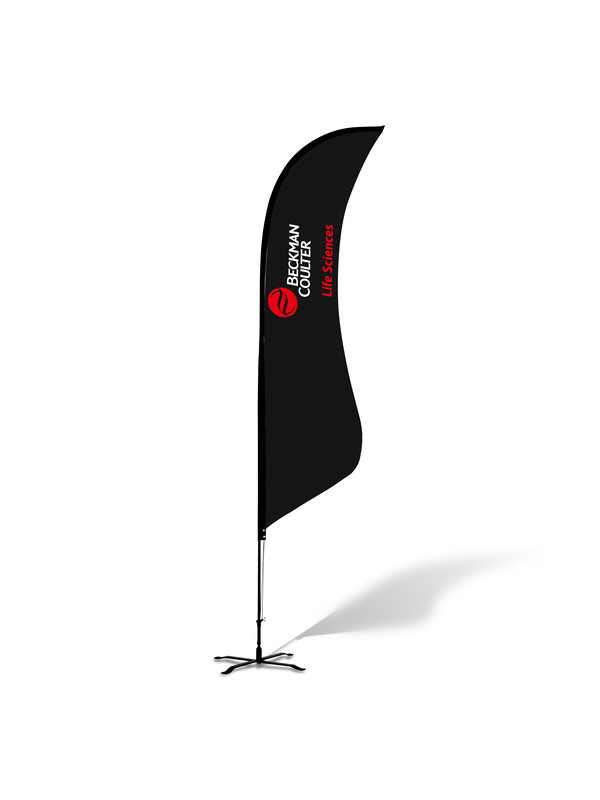 We offer a great variety of flag shapes and sizes and offer the flexibility of ordering in complete kits or as just replacement flags to use with your existing frames for other events. Also available are additional accessories such as bases. 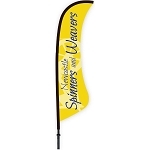 Swooper Flags - Complete Kit - 15"